War for Indagar is a fast-paced, 4X strategy game that includes four distinct factions for 1-4 players, along with an engaging AI. Players select powerful heroes to represent their armies, choose unique strategies to tailor their gameplay, and use spells and abilities to gain control over the battlefield and—ultimately—the Spirit Well at its center. 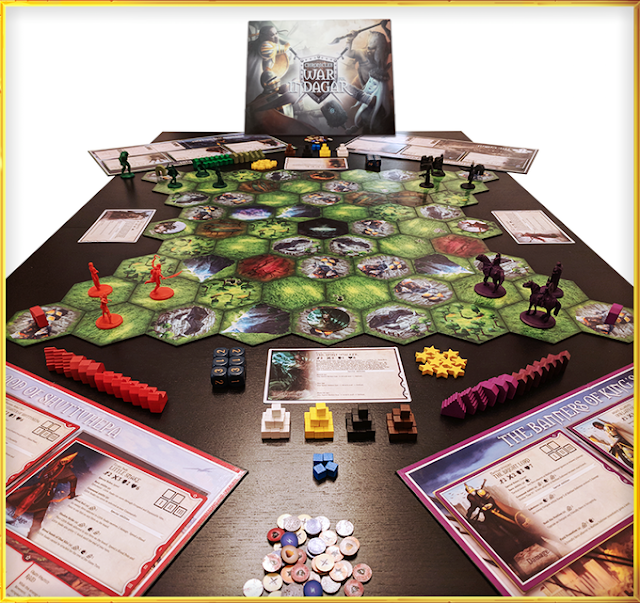 After generating a dynamic board of face-down hexagon tiles, players take turns exploring the land, building outposts, gathering resources, and waging an intense battle against other players and the AI-driven monsters. 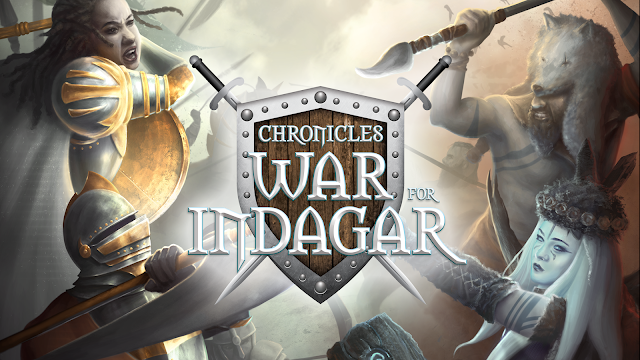 Unlike many 4X games, War for Indagar puts combat at the center of the struggle, with heroes squaring off in epic combat and using abilities and unlocking spells as they gain experience. To participate in combat, players roll dice based on attack and defense characteristics; do enough damage and you send your opponent into retreat and gain the land they were defending. Games of War for Indagar last for ten turns or until a player earns ten primacy points. Primacy is earned by claiming land with new outposts, defeating the enemy champion, or mining the precious spirits from the well at the center of the battlefield. Points can be won and lost in this seesaw battle to dominate the land, so call your banners, summon your champions, and prepare for the War for Indagar! 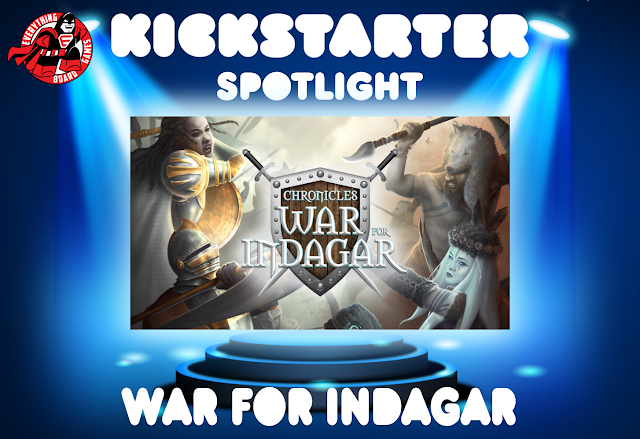 War for Indagar is live on KICKSTARTER between now and October 22, 2018 and has surpassed its funding goal of $17,500.